Original Artwork made directly from a utility cover in Speedway, IN. First morning in Indy and ran into this. Never saw a cover with the word “traffic” on it before. 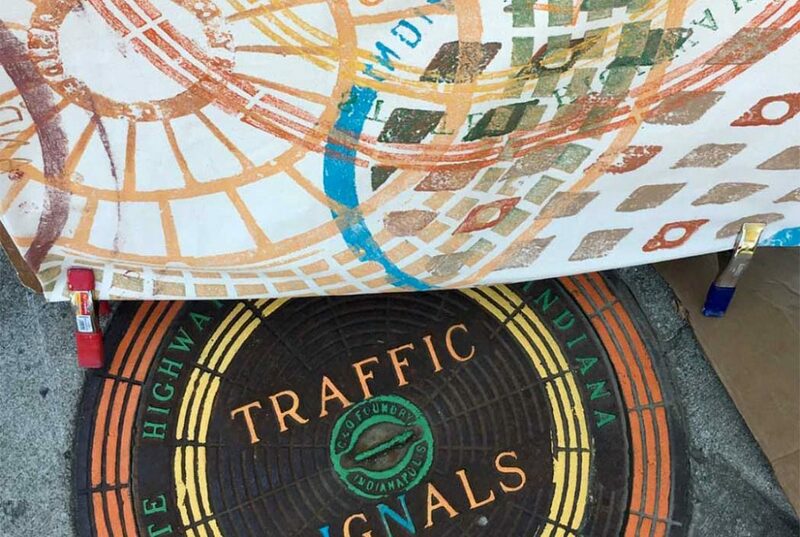 Original Artwork made directly from a utility cover in Indianapolis, IN.